Greetings dear Earth children, I Am KaRa and I greet you today as we lovingly watch over you and the changes that are now starting to spread across your beloved Earth. 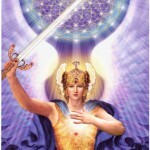 Yes, dear ones, it is indeed time for change, it is time to herald in a new dawn, a new way of being and doing. As the changes come about also know that your own Being, your physical, emotional, mental and spiritual bodies are undergoing great change and metamorphosis. As most of you know, you are changing from a carbon-based structure to a crystalline structure, a light body. You have always carried with you your light body, but this has been somewhat outside of you, more so a casing or shell around your physical body. The process of metamorphosis you are and have been undergoing is helping you to integrate this light body into your physical body. It is about transmuting and changing your physical body from a dense structure to a light filled and light-based structure. 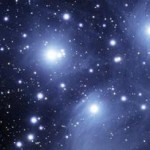 It is through this transmutation that you will be able to more easily connect with us of the Pleiades and your many other Star Brothers and Sisters that are here supporting you. The time for change is now dear ones, it is a changing of all that has been to a brand-new society based on Universal Law and not the old, outdated 3D system of rules and regulations that serve to keep you encased and restricted in what appears to be a limited form. But dear ones, you are anything but limited, you are an aspect of All That Is and so this means you can also access All That Is, you can traverse the many star systems, galaxies and dimensions if you can only just remember and remember you shall. This year is to bring back many of these memories, memories of the lives that you have had that are being integrated now for your highest good, memories of those you left when you put your hand up to come here and be a part of this grand experiment and a shift of impeccable magnitude. These memories and the many skills you have mastered are now starting to trickle back in to your awareness, into your conscious BEing. That is why you are also here, to bring your many unique skills and services you have honed over your vast journeys and experiences. For you are the change makers dear ones, you are the bringers of the new, shattering old systems and structures to herald in a new dawn. You have done this many times before dear ones and you will remember those times if that memory is to serve you. You do not need to try and remember these things for that cannot happen, if you are meant to remember a past life or a unique skill you carry it shall be. So, do not be focused upon trying to remember, just be in the moment and know that all is as it should be and that any of these memories will return to you at the perfect Divine Time. I Am KaRa and I am with many of you now as we prepare you for your first remembrances of our visits, for it is not the first time you will be seeing us and your beloved families. You have been doing this for a long time, but it has not yet been appropriate for most of you to remember, but remember you shall, and these things are all about to occur. So do not get down on life and think things are moving too slowly or that these changes are never going to occur, instead know that all is well, that the best times on Earth are ahead of you and have already occurred. I leave you with my love peace and blessings dear ones, you are cherished Souls all about to embark on the next stages of your earth journey. I love you.